Starting Fall 2017, you need to earn 30 credits per year to renew your scholarship for the following year. If you started school in the fall, you have until the end of that summer to meet credit completion for the year. You must be enrolled in a minimum of 12 credit hours each semester to be considered full time. Pro tip: Take at least 15 a semester to help you meet credit completion. This will keep you on track with your plan of study and gives you a buffer in case you need to drop a class for any reason. To receive 21st Century funding, you must file the FAFSA by April 15th. The FAFSA is available from October until April, so don’t wait until the last minute and risk losing out on a year of financial aid. Make sure you’re aware of Purdue specific deadlines to maximize the aid you’re eligible for, and file early! Making the most of your scholarship is about more than meeting the requirements. It’s also important to take advantage of the resources available to you so that you can stay on track for four-year graduation, minimizing debt, and increasing your earning potential post-college. My goal is to help you succeed! I’m available to answer scholarship questions and refer you to resources based on your situation, and I also offer individualized coaching to help you work through any barriers to your success. Throughout the year I provide workshops related to career exploration, academic success, and financial literacy and send monthly reminders about scholarship requirements, deadlines, and opportunities to get involved on campus. If you ever find yourself in a situation where you’ve lost your scholarship, I’m here to help you navigate the appeal process. My office is on the fourth floor of Krach, and you can schedule an appointment with me here. Junia can assist with the FAFSA, scholarships and grants, loan counseling, debt counseling, budgeting, work study, and other financial aid issues. She is located on the fourth floor of Krach as well, so you can visit us both in one trip! Contact Junia here. If you’re looking to make some extra money to put toward your educational costs, look no further! 21st Century Scholars are eligible for the Federal Work Study program, which helps you secure a part-time job on campus where you can gain skills and experience for a future career while also earning money for your education. Click here to learn more about Work Study and use both the Student Life jobs website and the Financial Aid Office’s job posting site to search for opportunities at Purdue (make sure to click “work-study required” in the search criteria). Note: You must check the box that indicates interest in Work Study on the FAFSA to be eligible for funding for that academic year. Get to know your Support Specialist and other professionals on campus like professors and advisors. Being proactive about getting to know these people off the bat makes it easier to know where to go and feel comfortable asking them for help when you need to. Having an established relationship with campus professionals can be especially helpful if you need someone to advocate for you in the event that you have to appeal for your scholarship down the road. This one may seem like common sense, but we all know how easy it is to let email pile up! Your Purdue email account is the primary way the University will communicate with you about your financial aid and 21st Century Scholarship, so it’s important to check it regularly and take action as necessary. You’ll also get regular emails from your 21st Century Scholars Support Specialist reminding you of important dates for your scholarship and opportunities around campus that you don’t want to miss! Insider Advice: It can be tough to switch from the email you used in high school to your Purdue account, but don’t take the risk of forwarding your Purdue email to another account. Too often messages get lost this way, and missing important emails can have serious financial and academic repercussions. Make it a habit early to check your Purdue account directly and often –soon it will become second nature! Still have questions, or just want to get connected? We would love to meet you! Call Student Success Programs at (765) 494-9328 to be connected to a Purdue 21st Century representative or visit our website. Indiana and National Scholarships are still available to College of Agriculture students for the 2017-18 academic year! More information on the scholarships can be found at the College of Agriculture’s scholarship page. While scrolling down the webpage, look on the left side of the screen for “Indiana Agriculture Scholarships” and also for “National Agriculture Scholarships“. It takes a little more time to apply as each has their own scholarship application. Every year, many of these scholarships go unawarded, as students do not take the time to apply. Be sure to be mindful of the application deadlines. My advice is to read through each scholarship listed, and for those a student meets the criteria for – apply, apply, and apply! The application for College of Agriculture Scholarships for 2018-19 will open in November, 2017. Go to the webpage listed above for the application. A common question is “Do I complete an application for each scholarship?” The answer is no, you only need to complete the one application. One online application puts the College of Agriculture students into a pool for each scholarship for which they meet the criteria. Applications must be completed in their entirety to be considered. Partial and incomplete applications are deleted, so be sure to finish if you start! Any questions or concerns about the College of Agriculture Scholarships can be directed to me at meyer10@purdue.edu, or call me at 765-494-8482. After reviewing your award notice, all that’s left to do is to accept or reject your offers for the award year. The majority of grants — free money that does not need to be paid back — are automatically accepted on your behalf. However any loans offered will require your decision, and at this point you will need to report any private scholarships you received. While no official deadline for accepting aid exists, keep in mind that financial aid will not credit to your Purdue invoice until aid is accepted. The Division of Financial Aid recommends you accept aid no less than four weeks before the start of the semester. Each type of aid has unique requirements for acceptance. Follow the directions based on type of aid below. Complete a promissory note at ECSI — a third-party servicer Purdue uses for this loan. This is done each year you borrow a Purdue loan. Find a Work-Study job by searching through job postings for student life or other on-campus departments and contacting listed employers for the application process. Once you have secured a Work-Study job, visit the Financial Aid office on campus for a Payroll Authorization Form (PAF). Give this form to your employer when you begin your job. Remember you can only work during the semesters you are enrolled and can pick up the PAF no earlier than the first day of the semester. If credit denied, the parent has several options: replace the Parent PLUS loan with $4,000-$5,000 Unsubsidized Stafford Loan and/or private loan up to the remaining cost, reapply for the Parent PLUS Loan with a co-signer, or reapply with a different parent borrower. Research your private loan options. Review our private loan information and search online for lenders. Complete a loan application with your lender. Most lenders have applications available on their website. Once credit approved, contact your lender for the next steps necessary. Your lender will contact the Division of Financial Aid for certification of your loan. Once certified, the loan will appear in your financial aid package on your myPurdue account. Note that the private loan application process typically takes at least 30 days. Apply as early as you can so that funds arrive in time for the bill due date. Log in to your myPurdue account. Under the “Financial” tab > “Award for Aid Year” select current aid year from the drop down box. Select the “Resources/Additional Information” tab and report your private scholarships. Don’t forget to give your donor the Bursar address to send a paper check. Incoming freshmen need to have a complete admissions application submitted by November 1 to be considered for Purdue’s merit scholarships. In addition to having a complete admissions application by November 1, new students enrolling in one of the following colleges or schools should also complete the Purdue Supplemental Scholarship Application by January 1, 2017. The deadline for incoming freshmen to complete the Purdue Supplemental Scholarship Application is January 1st of the year they intend to enroll. The deadline for the 2017-18 school year closed on January 1st, 2017. Scholarships awarded through the supplemental scholarship application are based on merit, need, or a combination of the two. If you wish to be considered for those scholarships with a need component you will need to file your Free Application for Federal Student Aid (FAFSA) by the January 1 deadline as well. *Polytechnic Institute Statewide students should complete the Supplement Scholarship Application and select Purdue Polytechnic as their school. Polytechnic Institute Statewide students may complete the application through August. Go to the Purdue Supplemental Scholarship Application and follow the directions. Some schools and departments use applications other than the Purdue Supplemental Scholarship Application. Find your department below to see if you qualify, and also check to see if you qualify for any other scholarships offered at Purdue. Click here or on the chart below for access to clickable links! There are many private scholarships available — especially for incoming freshmen — and you should definitely be applying for these as early as possible. Scholarship opportunities can be found in your local community and nationwide and will have different application processes. However, it is important to be wary of scholarship scams. You should not pay a fee to an organization to find scholarship opportunities for you or to complete an application for a scholarship that is offered. We recommend talking to a guidance counselor or checking out free resources like FastWeb or scholarships.com to learn about opportunities you may be eligible for. The Bursar’s Office provides details about mailing checks from donors, how they are applied to your bill, and other processing information for private scholarships that you receive. Remember to thank the sponsor of your scholarship. Learn more here. A Federal Parent PLUS Loan can be taken out by a parent in the parent’s name to help their dependent undergraduate student help pay for college. This loan has the same interest rate for everyone regardless of credit. For more details and information read about Parent PLUS Loans here. A large number of private education loan options are available to assist you and your family in meeting college costs. Loan applications are completed with your lender of choice and require good credit or a co-signer with good credit. We recommend applying at least 30 days prior to the date you need the funds and complying quickly to information requests from your lender. Read more about student loans. 1. Grants — Federal Pell Grants do not have to be repaid and are sometimes referred to as “gift aid”. Grants are similar to scholarships, except that they are often for those who demonstrate financial need, where scholarships can be either merit-based or need-based. 2. Student Loans — This is the type you hear about most often. Filling out the FAFSA is required to be eligible for Federal Direct loans. Federal loans are almost always preferable to private loans from lending institutions, because they have fixed interest rates and flexible repayment options. 3. Federal Work Study (FWS) — Work study may provide you with more opportunities to find on-campus jobs. Rather than being given the funds in the beginning of the semester like loans and grants, FWS earnings are distributed to you as part of your paycheck. College Goal Sunday will be held on Sunday, February 12th at 2:00 p.m. in Indiana and it provides FREE FAFSA filing assistance. It is at Ivy Tech in West Lafayette, but to find a location near you in one of the participating 42 states, go to www.CollegeGoalSundayUsa.org. You can always call the Financial Aid office of your prospective school to ask questions as well. 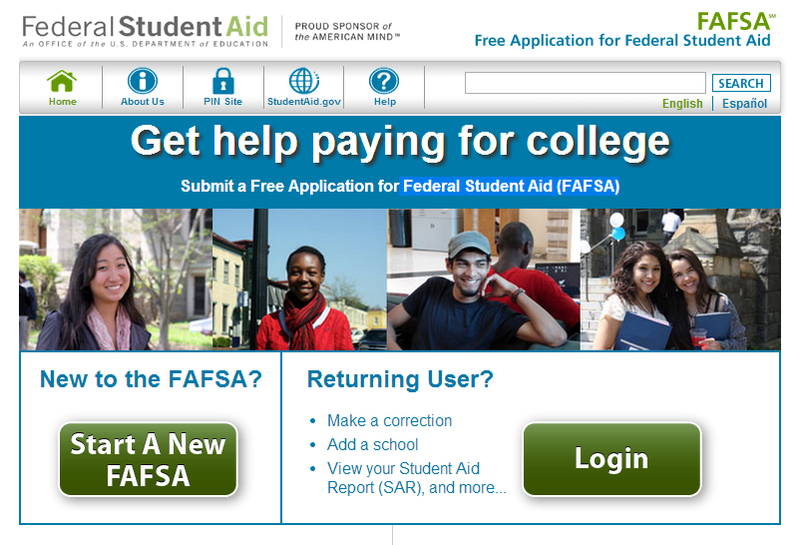 You can begin the FAFSA any time after October 1st of the year before you plan to attend college. The FAFSA uses the student/parent tax information from two years ago (You could start filing Oct. 1 of 2016 for the 2017-18 school year using your 2015 tax information) . You can estimate the required information to beat a college priority filing date, but the info must be corrected after the taxes are complete! Have more questions? Ask them in the comments and we’ll do out best to answer them! Oh thank heaven finals are over! Let the holidays begin! The presents, the food, family, it’s a great time of celebration and enjoyment, for a while at least. I know it’s hard to believe, but there is a lot of downtime over the holidays and some of us, dare I even say it, get bored. Even if you don’t bore easily, there are plenty of actions you can take that just might make your break a little better. The spring semester is coming. I know the fall semester just ended and no one wants to think about school over a holiday break, but you can at least prepare. Look for books in advance; it can often be cheaper since you can order from Amazon, rent online, etc. Write out your Christmas list, you could always ask for books as a Christmas gift! 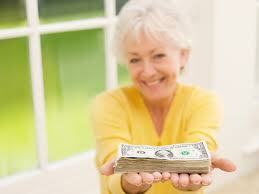 Money usually is given as a gift too and it might be beneficial to save for rent or other college related expenses. During the downtime of the holidays, it’s a good time to set and make a budget. It’s also a good time to make next semester’s schedule. Check your grades early. I know you don’t want to think about it, because the past is past, right? However, there are timelines to contest grades. If you have any questionable grades this is the time when you should be reconciling with your professor. Double check to make sure all you grades have been entered correctly and send emails early and often if needed. Also, double check you’re making Satisfactory Academic Progress (SAP), it is one element to keeping your federal financial aid eligibility. You can always check your SAP status on your myPurdue or contact the Division of Financial Aid as well. Just log in, and under the “financial” tab, click on academic progress on the left, and choose the current academic year. The last tab, Academic Progress, shows your current SAP status. I cannot stress this enough: the FAFSA (Free Application for Federal Student Aid) openend up October 1st and must be filed every year that you’re in school in order to receive financial aid. The on-time filer deadline for Purdue University is March 1st every year, DON’T MISS OUT! It’s not just grants and scholarships that depend on the FAFSA; if you have Stafford loans they also require filed a FAFSA. Recent FAFSA changes have you using the taxes from 2 years before you file, so if you’re filing for the 2017-18 school year you’ll use 2015 tax information. It also tends to be easier to file the FAFSA when both parents and students can work together, and the holidays usually provide a perfect opportunity. Although filing FAFSA is not as fun as opening presents on Christmas morning, it’s fast and super important, so make sure to pencil in sometime for it. Another really important thing about this time of year is that it’s when scholarship applications open up for the next academic year. That’s right, free money is up for grabs, so go apply! Academic advisors typically email students letting them know, but you can also check out this list of Purdue departmental scholarship information. The Division of Financial Aid also has a General Purdue Scholarship Application that is available now and is due (along with a completed FAFSA) by January 1st. Private scholarship applications typically start opening up this time of year too. Two resources for private scholarships are FinAid and FastWeb. So research and apply for scholarships. After all, who doesn’t like free money? So yes the holidays are here, relax and enjoy yourself! Go have fun and refresh! Just keep these things in mind as they can help for a less stressful spring semester. If you’re one of the lucky Purdue students to receive a Trustees or Presidential Scholarship, the thought of what you need to do to keep your scholarship may have come up. While these awards do renew automatically, there are some criteria you should know to keep your eligibility. In addition, you need to maintain continuous full-time enrollment each semester (excluding the summer) with 12 or more credits or you will lose your eligibility. If you are taking 12 credits and drop a class to go below, this will put your scholarship in jeopardy. While taking 12 credits keeps you full time, there is another credit completion mark you must hit. You must have completed a total of 30 credits at the end of your first year, 60 by the end of your second year and 90 by the end of your third year. Important to note is that transfer and AP credits both apply to this 30/60/90 goal as well as the courses you take at Purdue. This can give you a bit of a cushion, especially in your first year, to hit your 30/60/90 benchmarks. If you started at Purdue before Fall 2014, the 30/60/90 rule does not apply to you. Along with maintaining full-time enrollment, you need to maintain a cumulative 3.0 GPA. These grades are checked at the end of each spring semester and if your cumulative GPA is below 3.0 at that time, you will lose it. However, if you have lost it for one year you can regain it at the end of the next spring semester if your cumulative GPA rises above 3.0 again (assuming you meet all the other renewal criteria). If you made it through your freshman year without transferring and you’re hitting your 30/60/90 goal while keeping your 3.0 cumulative GPA you’re probably well on your way to graduating in four years. Which is good, because the scholarships are good for up to four years (8 semesters) of eligibility. If you take an extra year or semester past that, you won’t have the scholarship to help out. If you are participating in a Purdue approved co-op or internship that takes you away from Purdue, that semester will not count against your semester usage, credit hour completion totals, or 12+ credit rules. Due to your different pattern of enrollment, you may appeal to use a semester of your award during the summer. Summer appeals should only be used when you will not be on campus a total of eight fall and spring semesters. Now, if you have been doing your best but fell short of one or more of these requirements, there is the option to appeal if you have extenuating circumstances. Keep in mind that high school was easy and college wasn’t so you got really into Netflix and sleeping instead is not considered an extenuating circumstance. Looking for renewal information about other Purdue scholarships including the Emerging Leaders, Marquis, Purdue Achievement, Purdue Hispanic, or Purdue Merit Scholarships? Check out this link with details on maintaining those scholarships. You can also find more information on the Trustees and Presidential Scholarships as well as other Freshman Scholarships here.